Odisha Chief Minister and Biju Janata Dal (BJD) leader Naveen Patnaik announces candidates on Monday. Bhubaneshwar (Odisha) [India], March 18 (ANI): Naveen Patnaik, Chief Minister of Odisha, will be contesting from two constituencies for the first time in the upcoming Assembly polls. Announcing names of the two constituencies, Hinjili and Bijepur seats, from where he will be contesting, Patnaik on Monday also declared the first list of candidates for 54 Assembly constituencies and nine candidates for the upcoming Lok Sabha polls. Patnaik has been representing Hinjili constituency for last four terms, defeating Congress, since 2000. Hinjili Assembly seat falls under the Aska Lok Sabha constituency which used to be the stronghold of his father and a legendary figure of Odisha, Biju Patnaik. This is the first time that he will try his luck from Bijepur Assembly constituency also which falls in western Odisha region where BJP is stated to be gaining strength. Bijepur Assembly seat falls under Bargarh Lok Sabha constituency. However, it is learnt that BJD is eyeing the seat from the state's western region since it covers five Lok Sabha seats and 37 Assembly constituencies. After the death of Congress MLA Subal Sahu from Bijepur seat, BJD gave the ticket to his wife, Rita Sahu, who won from the constituency in by-poll elections last year. Sitting MLA Sahu will not be contesting, leaving it for BJD chief instead. 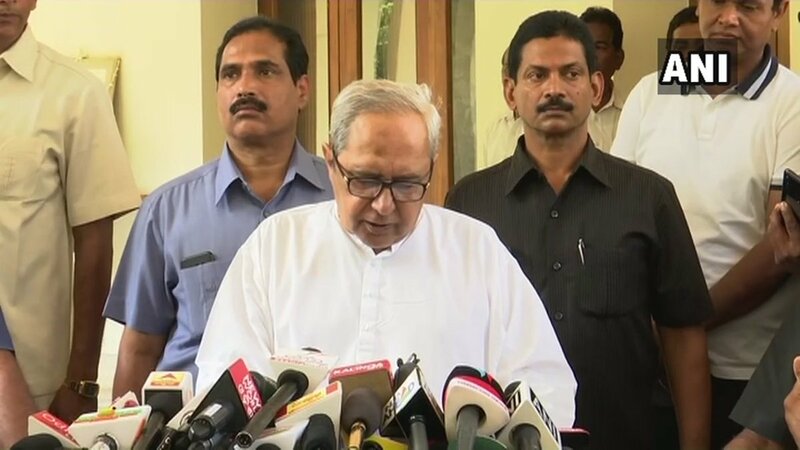 On Sunday, Patnaik had said that he was seriously considering contesting from western Odisha following requests from party leaders and the public. Patnaik announced names of candidates of nine Lok Sabha constituencies in its first list including Kousalya Hikaka (Koraput), Achyuta Samanta (Kandhamal), Chandra Shekhar Sahu (Berhampur), Puspendra Singh Deo (Kalahandi), Ramesh Chandra Majhi (Nabarangpur), Prasanna Acharya (Bargarh), Sunita Biswal (Sundargarh), Pramila Bisoi (Aska) and Kalikesh Narayan Singh Deo (Bolangir). Thus, by today's announcement the BJD leader has set the ball rolling for the first two phases of Lok Sabha polls. In the first phase, constituencies including Berhampur, Kalahandi, Nabarangpur and Koraput and in the second phase, five constituencies including Aska, Bargarh, Bolangir, Kandamhal and Sundargarh constituencies, will go to polls.